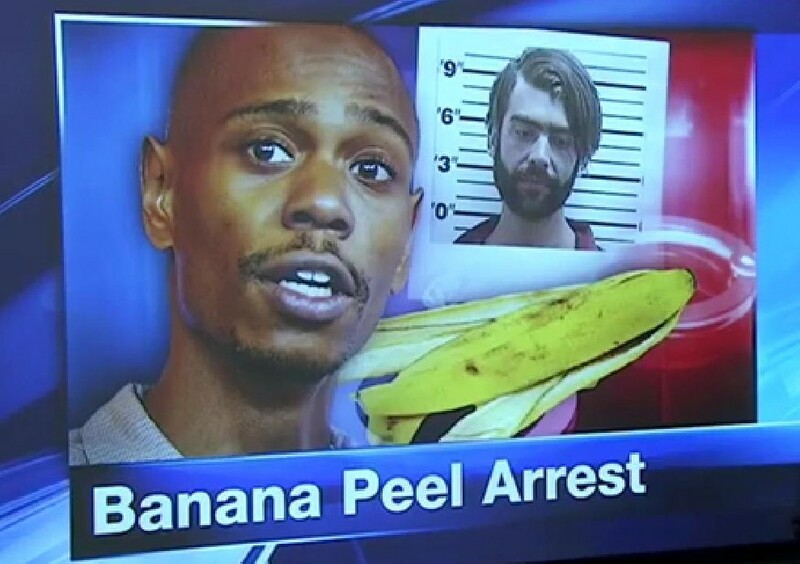 Santa Fe police say a man tossed a banana peel at Dave Chappelle during a show, hitting in the comedian in the leg. Police Lt. Andrea Dobyns says 30-year-old Christian Englander of Santa Fe was arrested on suspicion of misdemeanor disorderly conduct and battery after the fruit throw Monday night at the Lensic Performing Arts Center in the northern New Mexico city. Dobyns says Englander acknowledged throwing a peel from a banana he had eaten earlier because he took offense to jokes Chappelle made about his companion. Police say Englander appeared to be intoxicated after event security escorted him outside. Englander remained in jail Tuesday, and Dobyns said she didn't know whether Englander has an attorney to speak in his defense.